In research papers about Shakespeare's Henry IV the central family problem is posed by Prince Hal’s relationships with Falstaff, and the disapproval of his father. 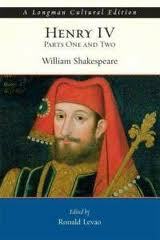 In research papers about Shakespeare's Henry IV the central family problem is posed by Prince Hal’s relationships with Falstaff, and the disapproval of his father. But this is not a family problem derived from a problem of dynastic claims or of the inheritance of tainted traits; it is merely a question of Hal’s youthful immaturity. There is, however, as suggested in the research paper, the problem of Mortimer. Bolingbroke, now Henry IV, has seized the throne as an act of state craft, but, after he has had Richard murdered, Henry IV makes the claim that he is the legitimate heir to the throne. In his theory what he has acquired by force is now his by right. The problem with this is that Lionel, Duke of Clarence, had been the second son of Edward III, had had a daughter, Phillipa, who married Edmund Mortimer, and from this marriage there had issued three children, the second of which, Edmund, appears in the play as Glendower’s prospective son-in-law, and the third of which, Elizabeth, also appears in the play, as Hotspur’s wife. Now John of Gaunt, Henry IV’s father, was the third son of Edward III and so the Mortimer claim, based on descent from the second son of Edward III, had what many thought was a merit superior to that of Bolingbroke’s. Paper Masters writes custom research papers on Henry IV by William Shakespeare.